EDGE AuctionOS (formerly named Automated Auto Auction Software) is brought to you by the leading technology provider for independent auto auctions nationwide— Auction Edge. This robust system delivers flexibility, compatibility, security, ease-of-use and an industry experienced support team to give your auction an edge in operational excellence and profitability. This Java application is built on top of Microsoft® SQL Server®, creating a high performance and highly secure system at an affordable price. 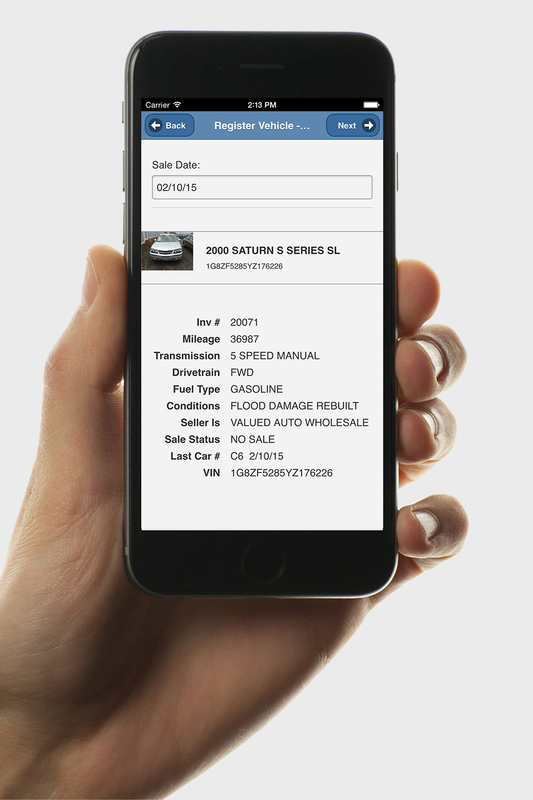 Use the EDGE AuctionOS mobile app for vehicle Check-In, photos, and Condition Report writing. EDGE Multi-List is an EDGE AOS module that allows auction staff to push vehicles to multiple online marketplaces with a few simple clicks. Once the vehicles are listed across the various websites, EDGE Multi-List automatically facilitates the management and removal of vehicles across marketplaces to prevent double sales, ensuring confidence in your buyers regardless of their marketplace of preference. View and manage all of your listings in one single dashboard. Gone are the days of managing CRs, photos, inventory, cross bidding, and notifications manually. Let EDGE Multi-List do the work for you. Let us know what you're interested in learning about.